The catastrophic flooding in Colorado’s northern Front Range has reinforced the need to relocate residents of the Pan and Fork Mobile Home Park for some Basalt officials, but it won’t necessarily be a focus of the campaign for a $5 million bond issuance. The town is relocating residents out of mobile homes at the Pan and Fork because it is in the floodplain. Studies have shown the trailer park is one of the properties at greatest risk of damage if a massive flood hits the midvalley. Stevens said he doesn’t think town residents are aware of the severity of the threat facing the Pan and Fork. The mobile-home park sits just downstream of the confluence of the Roaring Fork and Fryingpan rivers. “I don’t think people understand those homes really are in harm’s way,” Stevens said. The safety issue has been overshadowed by debate over use of public monies to relocate the residents. The town will also spend funds to alter the Roaring Fork River to make the site less flood prone. That will enable it to convert a portion of the site into a riverside park and prepare the rest of the site for development. Town Manager Mike Scanlon said the images of the flooding in the Front Range remind people what can happen in narrow mountain valleys. “You can actually see what happens when the floodwaters go up,” he said. Scanlon said his motivation for the Pan and Fork project has always been ensuring people were safe, even before the Front Range flooding. The recent events reinforce the course of action. “We could get this type of an event,” he said. “It won’t be a flash flood but it would still wipe (the Pan and Fork) out,” he said. Basalt is asking residents in the Nov. 5 election to approve issuing $5 million in bonds for the Pan and Fork project. Mayor Jacque Whitsitt said she thinks the flood threat “is definitely worth mentioning” during the campaign. Scanlon and the council believe the $5 million in bonds can be paid off using existing resources, including a sales tax dedicated for open space and trails projects. Since the river work at the Pan and Fork would enable construction of a park, the town believes that’s a legitimate use of the funds. 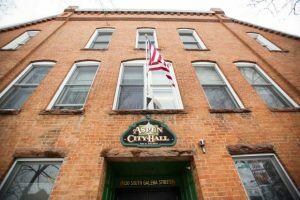 The town awarded a $2.9 million contract Sept. 10 to American Civil Constructors, of Littleton, and it was signed the next day. It is contingent on the town having the funds “in hand,” according to Scanlon. That means if the bond issuance is approved, the town can complete the river work in about 18 months. If voters don’t approve the bonds, the town still intends to complete the work over a longer course of time — as it collects sales tax revenues. Scanlon said he once thought the work would take three or four years if the bond didn’t pass. 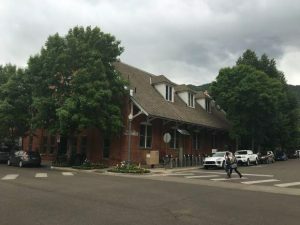 Now, he believes it would take significant longer and be substantially more expensive because of the massive repair effort required after the Front Range flooding. Nearly every construction company with the ability to do the Basalt project will now be building roads and bridges in the counties and towns hit by the floods, he said. The cost of materials is expected to soar. “If we had not (awarded the bid), our numbers would have been different by probably $500,000 to $1 million,” Scanlon said. 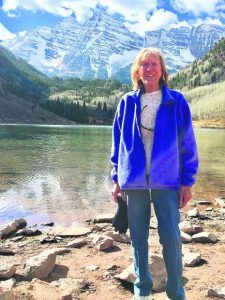 Separate from the $2.9 million contract with the construction firm, the town purchased $560,000 worth of a special type of rock that will be used to line the bed of the Roaring Fork River by the Pan and Fork, Scanlon said. That rock will be delivered and stockpiled in phases. That same rock will be much more expensive now because demand for it will be higher as bridges and roads along rivers are rebuilt in the Front Range, he said. “Past encroachments have modified the behavior of the river,” he said. Gravel and cobblestones have accumulated and make the river flow unpredictable. American Civil Constructors will build temporary dams to allow it to remove cobblestones, regrade the riverbed and line it with the special rock it purchased, Thompson said. The work is designed to guide surging waters into riparian areas where is can be more easily absorbed, according to Scanlon. Riverbanks will be stabilized. The project also includes using dirt and rock to raise the level of the Pan and Fork site closest to Two Rivers Road in preparation for possible development, Thompson said. The Pan and Fork isn’t the only project Basalt needs to undertake to ease flooding risk, Scanlon said, but it faces the greatest threat. He estimated that 35 of the 38 trailer spaces in Pan and Fork are in the flood plain. In the Roaring Fork Mobile Home Park, just upstream, about 12 trail spaces are in the flood plain, according to Scanlon. 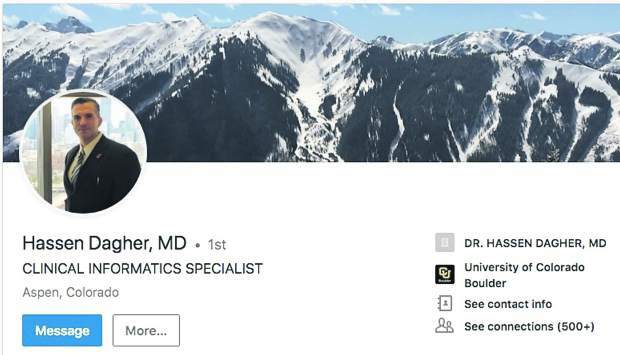 He said he would talk with Pitkin County about the need to relocate those residents and remove the trailers. The Roaring Fork Mobile Home Park is located in unincorporated Pitkin and Eagle counties whereas the Pan and Fork is located in Basalt. Work is also needed to ease the flooding threat in the Southside neighborhood, according to Scanlon.